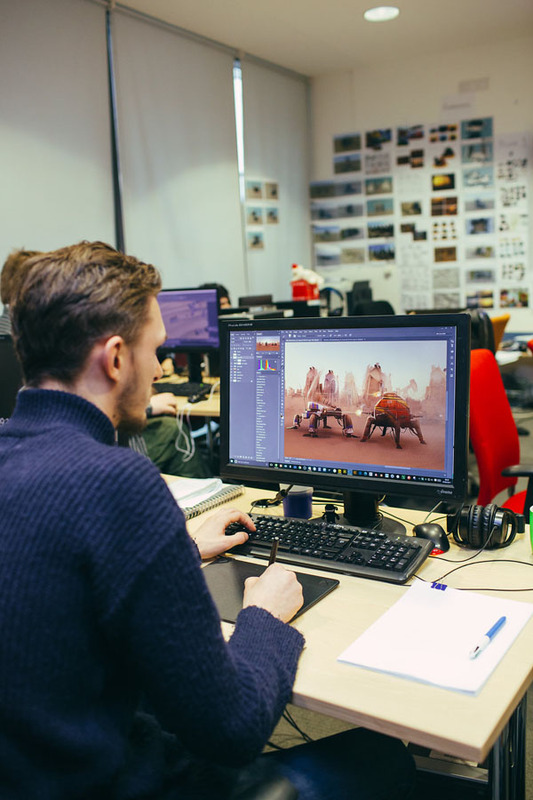 Our BA (Hons) Video Game Design and Production undergraduate course responds to the growing and innovative sector by developing skilled, team-orientated, reflexive graduates ready to succeed in the field. 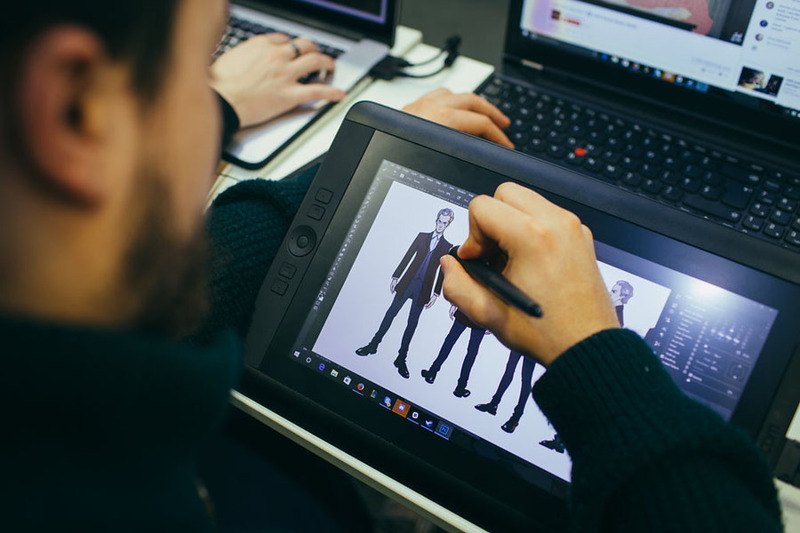 Interactive Entertainment and Video Games development are key sectors for contemporary culture, economic growth and employment locally in the Midlands, nationally and globally. 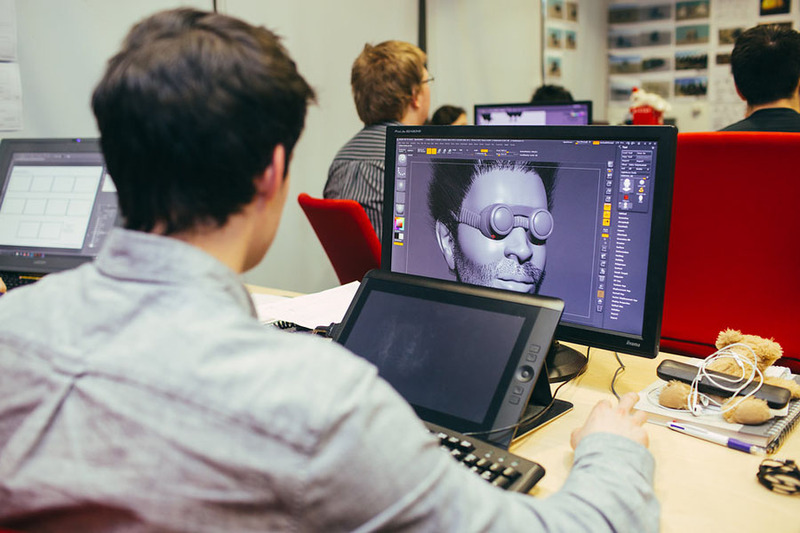 This accelerated two-year course gives you a guaranteed video game development placement in our in-house studio. 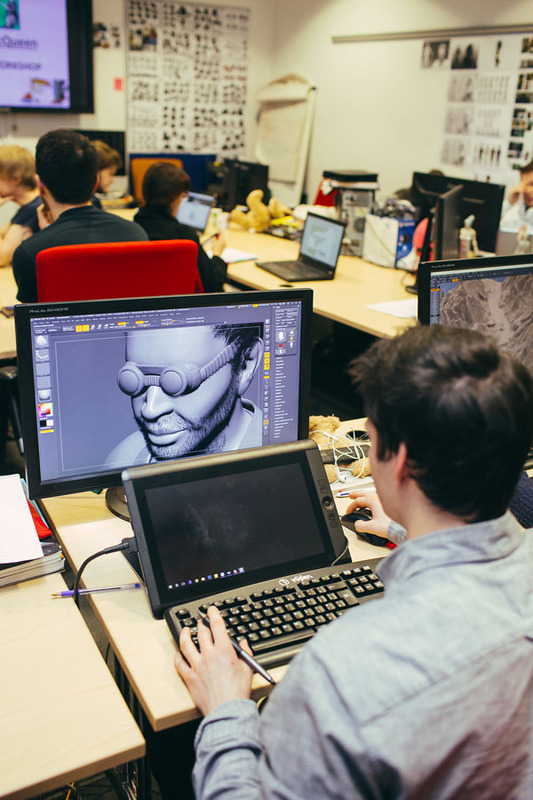 The work-place simulation approach of our department has been championed by the influential 2009 Livingstone, Hope Next Gen Report which cited us as a national best practice example for developing new talent for the games industry. The course focuses on digital media asset production and communication. You will gain a grounding within the industry’s design and production principles while developing your creative and teamwork skills. 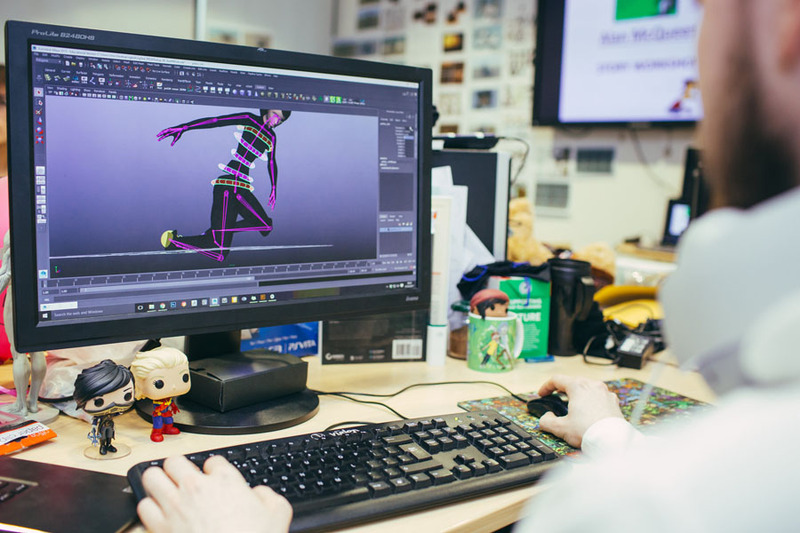 Building upon your design and production skills, in the first year you will be tasked with a specific role within our in-house game development studio over the summer term. This work experience gives you the opportunity to apply the knowledge and professional practices you’ve learn on the course in a safe and supportive environment. 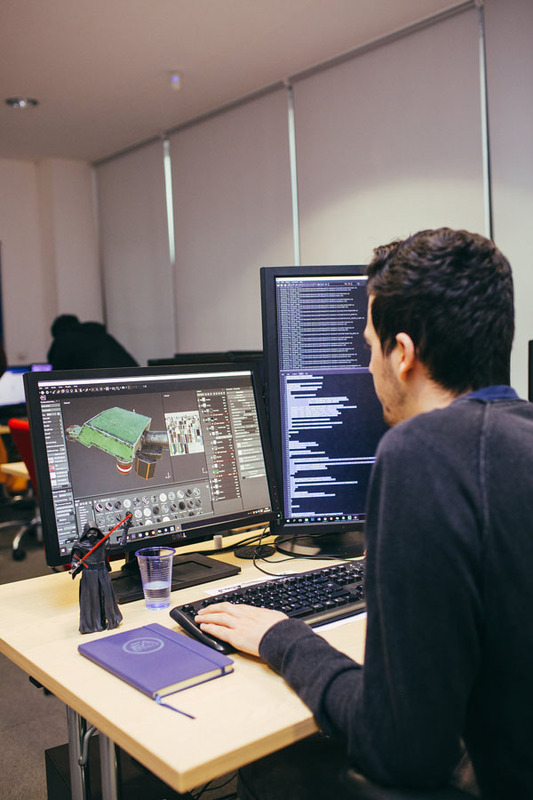 Throughout the two years you will be provided with a structured programme of learning, in line with your chosen specialism of video game design and production. The course culminates with a project you define yourself which targets a specific subsector of the video games industry. 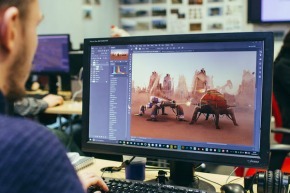 So, by the time you graduate, a whole year before most students, you’ll have two years of tangible, games development studio experience under your belt, ready to launch your dream career as a games developer. Alternatively, you can choose to apply for one of our one-year Gamer Camp courses to gain even more in-depth skills and experience. Guaranteed summer placement in in-house development studio (Year one). 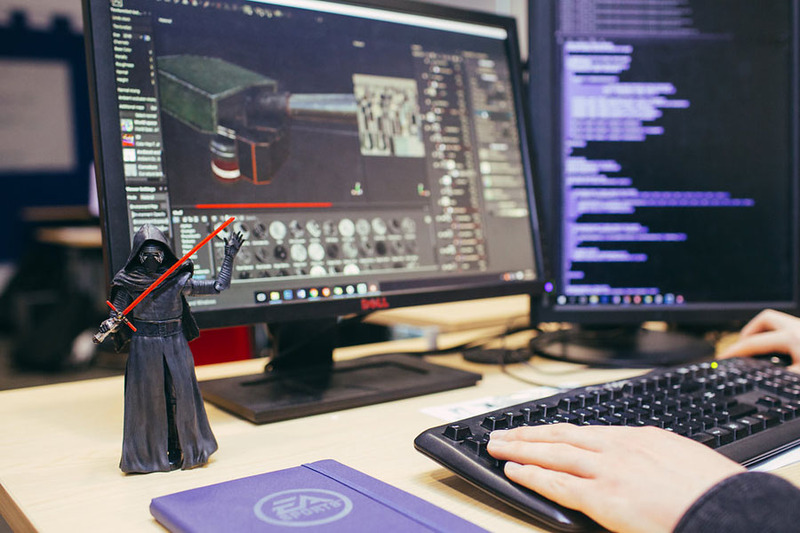 Teaching is delivered by industry practitioners with over 20 years of industry experience creating products such as Star Wars Battlefront and Goldeneye Reloaded. There arealso trained industry developers now working at studios such as TT Games and Rockstar North. During the two-year course you’ll work on a number of live projects with industry partners. Previous partners and mentors have included, Red Bee Media, FreeStyleGames and Codemasters. 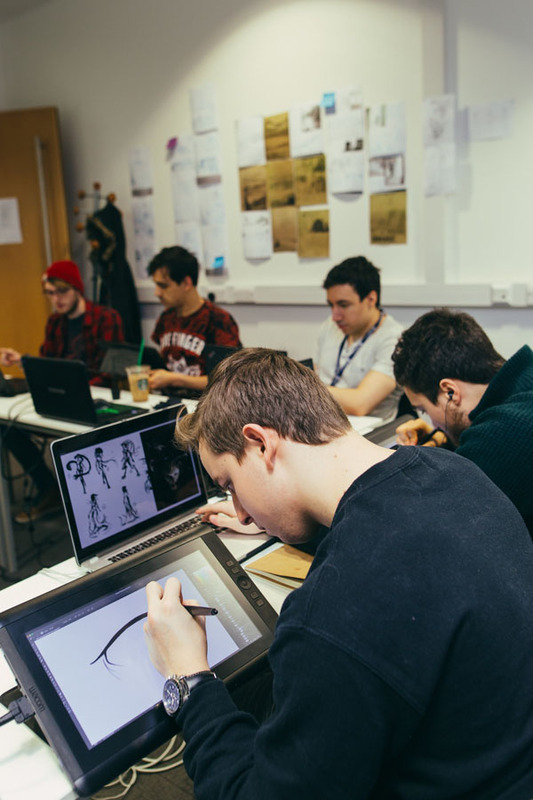 On the course you’ll learn a range of skills relevant and appropriate for careers in video game development specialising in design and production within fields such as component game design and project management. This course will develop you to be able to move into employment, or further study. In addition to qualifications, applicants will also need a good digital or physical portfolio. In addition to qualifications, applicants will also need a good digital portfolio. During the first year, you will study four taught modules over semester one and two and two project modules over semester three, which takes place over the summer. Teaching methods may include practical sessions, lectures and group debates, featuring input from both University staff and guest lecturers from industry, providing you with a wide range of practical knowledge and insight. On average, these modules feature around 12 hours of teaching time per week. During the project modules, you will be in the studio every day, from 9.30am-4.30pm, Monday to Thursday. These modules are collaborative and you will be working with students from different disciplines such as, programming, art, production and marketing/business. This module covers the introduction and development of game design and historical products. Looking at the history of the games industry from a global context will allow you to practically apply historical knowledge throughout the rest of the programme. You will form a good grounding in historical analysis, developing the credibility of your work. This module introduces the fundamentals of the process of design for conceptualising a game along with game design theory. You will gain an understanding of the development needed to illustrate and refine an idea to then plan, manage and implement the game into production. This module promotes excellence and professional standards in practice-led, working methodologies, in which you apply your learnt knowledge. You will build upon previous modules and apply in depth analytical lenses to ascertain the role and significance of video games in culture and society. You will also research, analyse and appraise usability, immersion and emotion in the video games under discussion. This module covers the fundamentals of 2D game space design for conceptualising gameplay within 2D environments along with game design theory. You’ll then gain an understanding of the development needed to illustrate and refine an idea to then plan, manage and implement 2D game space design and support information into production, followed on by a critical analysis of the development process. This will be supported by industry when appropriate. This optional module is an opportunity to learn about the nature of interaction within game products, and experience the challenge and thrill of developing a fun, gaming experience. The ethos of the module is that of a ‘game jam’, where student teams will be tasked with completing a game brief inspired by either a broad theme, a defined genre or a defined reference product. This project will be small in scope and scale, a micro-project. 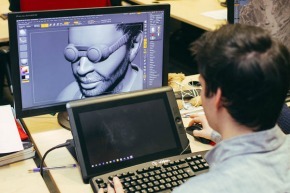 The video game micro-project will enable students to take a code, art, design or production role within a small development team. This optional module is an opportunity to learn about the nature of storytelling, audience engagement and the variety of methods and tools a writer or communicators has at their disposal to engage, inform, excite and elicit emotional response from the audience. The ethos of the module is that of a story jam, where student teams will be tasked with completing a narrative challenge game brief inspired by either a broad theme, a defined genre or a defined story arch. In teams, you will define characters, setting, situation and narrative, choosing an appropriate medium to convey the narrative - this could include, but is not restricted to, a comic book, radio/audio play, choose-your-own-adventure, branching interactive conversation or screenplay. The module is an opportunity to learn and critically reflect on the skills of collaboration by enabling you to create an interdisciplinary project with students from complementary disciplines. You will be tasked with completing a project, set either by an academic or course industry-partner, over an eight-week period. While on the module, you’ll be based in a studio environment, where you’ll be required to attend Monday to Thursday. Through dedicated lectures and workshops you will generate ideas to become a multiple screen/multiple platform strategy, based on future technologies. This will then be presented and pitched to high level stakeholders at the end of the module. The multiple screen/ platform strategy will be supported by the academic team and introduces industry approaches. 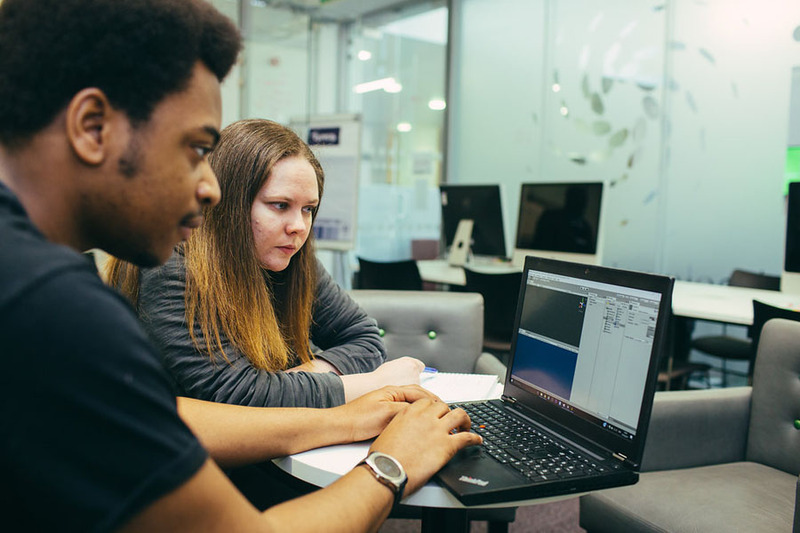 Furthermore, the practical nature of the module will enable you to apply knowledge gained so that the output work will to support future modules (Strategic Game Design) and also any potential future business development/enterprise opportunities which you may wish to explore, either alone or with other students. 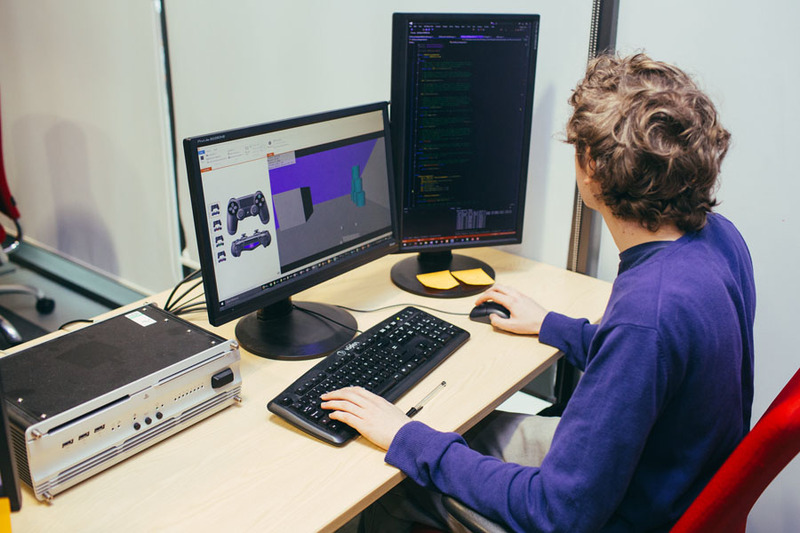 Through dedicated lectures and workshops, you will cover the fundamentals of the process of 3D game space design for conceptualising gameplay within 3D environments, married with game design considerations from 3D Game Spaces and game design theory fundamentals. The module will then go on to give you an understanding of the development and documentation needed to illustrate and refine that idea to others to then plan, manage and implement the 3D game space design and support information into production, followed on by a critical analysis of the development process. 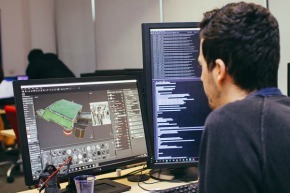 This will, in turn, be supported where and when appropriate by industry involvement, so that you are aware of how to develop 3D game spaces from an industry perspective, so that you may, as and where appropriate, take these industry-standard working methodologies into consideration within your design consolidation. On this module, you will create a business plan, which will be presented / pitched to high level stakeholders at the end of the module. The business proposition will be supported by the academic team and introduces industry approaches. Furthermore, the practical nature of the module will enable you to apply knowledge gained, so that the output work will support any potential future business development/enterprise opportunities which you may wish to explore, either alone or with other students. This module provides you with the skills, behaviours and attributes you need to be successful in a modern workplace. You’ll not only develop your academic attributes, but will also acquire lifelong skills, such as problem solving, entrepreneurship and a global focus. You’ll gain an understanding of successful project planning, as well as learning to be innovative, critical and professional. The course is structured around teaching you new skills and allowing you the freedom to experiment and experience putting your new skills into practice through stakeholder-directed live projects. 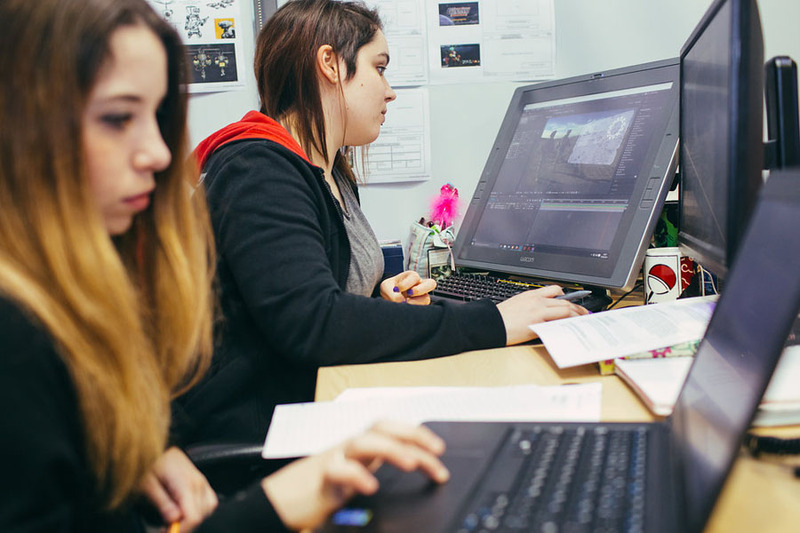 The Video Game Design and Production course is all about providing you with crucial experience-based learning you'll need for your career. To this end during the summer you will be required to attend an in-house work placement. During this placement you will be required to attend full-time, 9.30am to 4.30pm, Monday to Thursday. It is during these modules you’ll be using development tools such as Unity & Unreal. 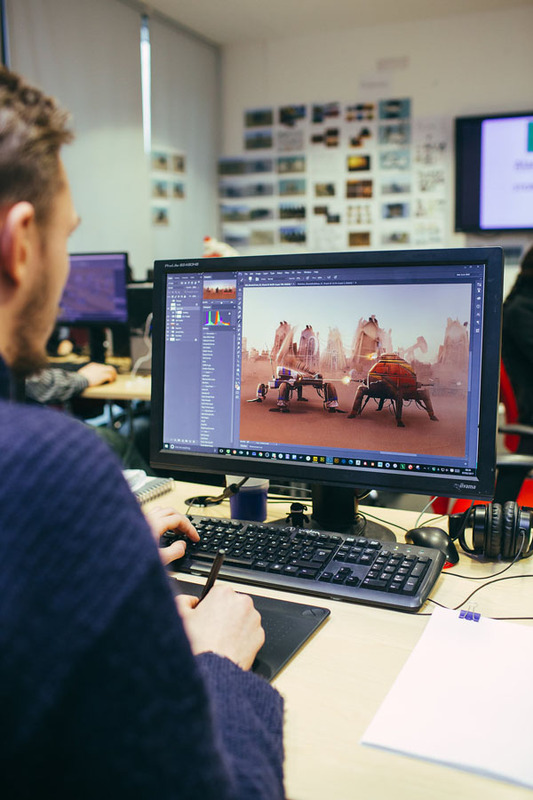 This two-year accelerated undergraduate degree course has professional game development studio experience embedded as part of your learning journey. You'll be assessed in a variety of different ways, including practical project work – both group and individual – presentations, written reports and practical portfolios. The course culminates with a project you define yourself which targets a specific subsector of the video games industry, for example; working as a component and technical designer or even managing a project using Agile Project Management methodologies (note this is not an exhaustive list of roles). 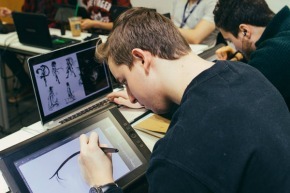 You have the choice of either proposing your own individual project or collaborating with other students to create another video game project for your portfolio. During taught you will receive two classes per week, plus one tutorial. During project you are expected to be present in the studio 9.30am- 4.30pm, Monday to Thursday. At the NTI we are members of both of the Video Games Trade Associations, TIGA and UKIE. 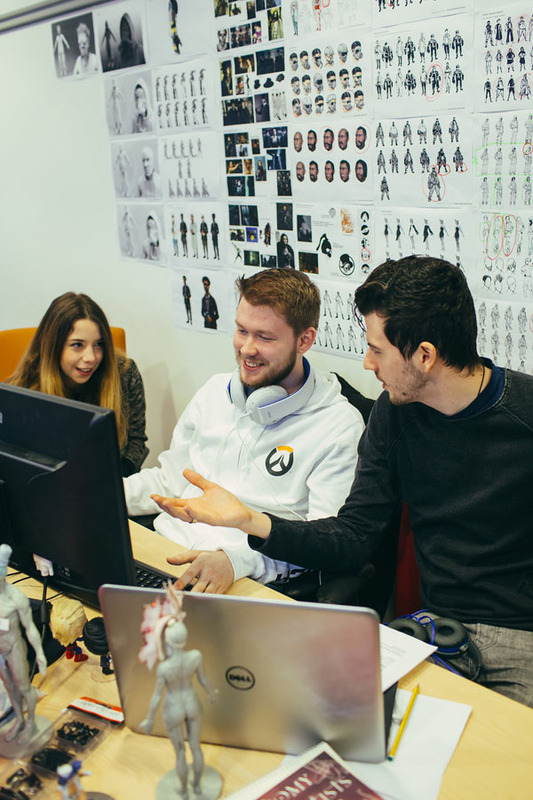 During project modules, industry guests have historically attended during ‘milestone review’ sessions to review and feedback upon students’ video game development work, as well as providing direction for further development. During your final major project an industry mentor maybe sought to help you deliver your project. In 2016, staff from Microsoft’s Rare studio worked with students to help them complete their major projects. 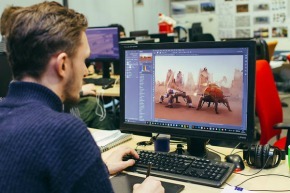 The course team have excellent links with the following game development studios: Rockstar North, Sony Interactive Entertainment Europe, Codemasters, Exient and Mediatonic. Workplace simulation and giving student indicative or real industry-standard work to complete while on their course is a core pillar of the approach and success for courses at NTI. On top of the course-specific experiences, the University has introduced the BCU Graduate+ programme, which is an extra-curricular awards framework that is designed to augment the subject-based skills that you develop through your programme with broader employability skills and techniques that will enhance your employment options. 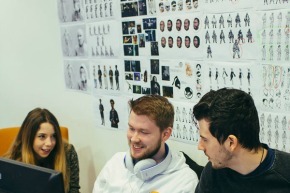 During the summer term of your first year, you will have the opportunity to work in a video game development team as part of the in-house placement element of the course. Previous, projects have included a ‘Doctor Who’ interactive comic book project with the BBC and Red Bee Media, an integrated web and mobile suite of mini games with The Wellcome Trust and Xtreme Drone Racing Micro with Sony PlayStation First. An awesome experiential event and showcase for student work, attended by VIPs from the digital games, advertising and art industries. High spec PC laptop (Video Games Development, Video Game Design and Production and Digital Art), to use for the duration of the course.